The seller of this Ford-based custom says it was built by Briggs Cunningham and Bill Frick on Long Island, New York in the early days of their partnership. They attempted to enter one at LeMans but were rejected, so Briggs entered his famous pair of Cadillacs instead in 1950. It isn’t clear whether this is the rejected car or a separate Fordillac project, but this one features Cadillac V8 power, a passenger compartment moved rearward, and front fenders stretched 18″. It is said to have been sold by Cunningham to Thomas Campbell (the soup baron) who stored it away for several decades after he passed away in 1954. 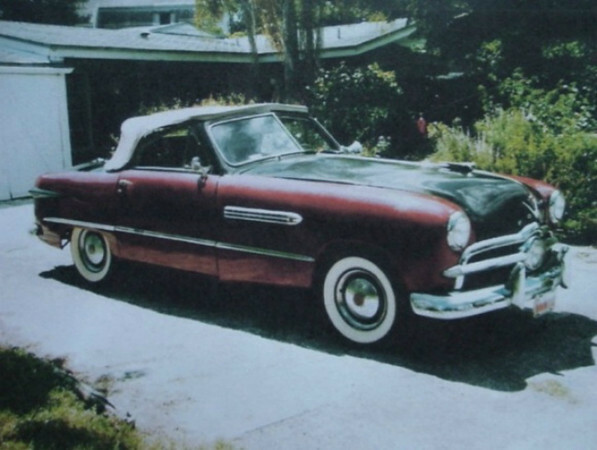 Source: http://bringatrailer.com/2010/12/26/briggs-cunningham-ties-1949-fordillac/.